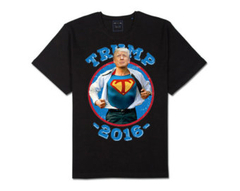 Super trump 2016 t-shirt....just says it all! Choose your size and color! This is a front design....this helps you see the faces of people as they read your shirt. You'll get tons of "thumbs up", trust me!! *****SALE!!!! ***** Just $10 each when you buy three or more!